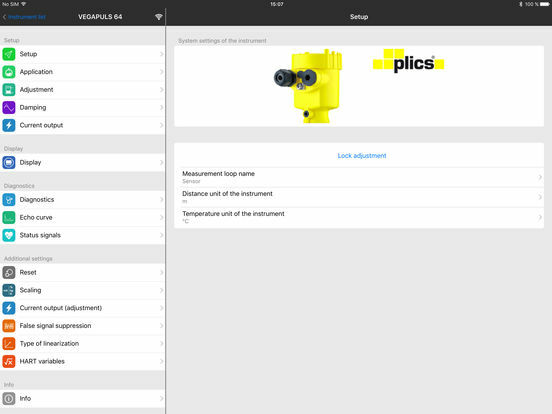 This app enables wireless adjustment of sensors that have the display/adjustment module PLICSCOM with Bluetooth. Your smartphone or tablet gives you convenient access to the adjustment functions of the sensor. The intuitive user interface of the app makes it very easy to configure the sensor and put it into operation. The optimized display and diagnostic function allows you to e.g. 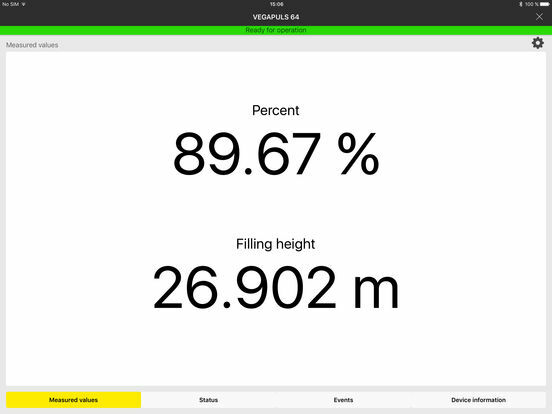 visualize the measured value or sensor status quickly and easily. 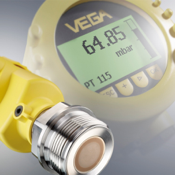 By entering the serial number, all relevant information about your VEGA instrument can be retrieved. Optionally, you can get this information on your smartphone by scanning the data matrix code or barcode on the type label. General device information (instrument name, article number, delivery date, etc. 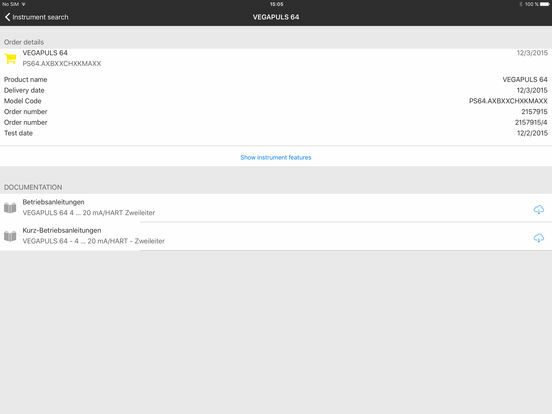 ), an overview of product features and the device-specific documentation (operating instructions, test certificates and safety notes) are thus available anytime, anywhere. 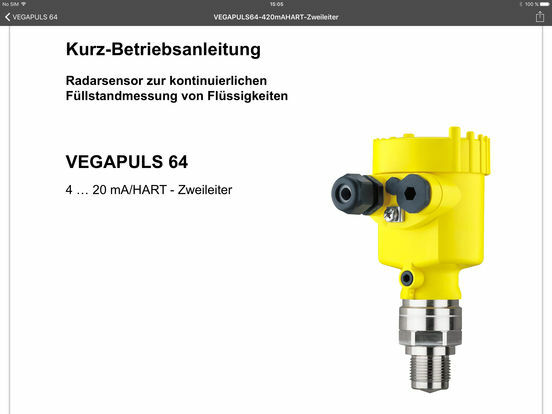 By making use of the tilt sensor integrated in the smartphone, the app also allows the user to optimally align the radar sensor with the tank discharge opening in bulk solids applications.